Director Trivikram often cast other language actors in his films. In Atharintiki Daaredi and Agnathavasi, he roped in Boman Irani. For S/O Satya Murthy, he brought Kannada star Upendra and he had cast Kushboo for Agnathavaasi. But he faced criticism for roping in these actors. Many people feel what’s the point of signing up such big actors as he often gives them roles with a lesser scope in the films. 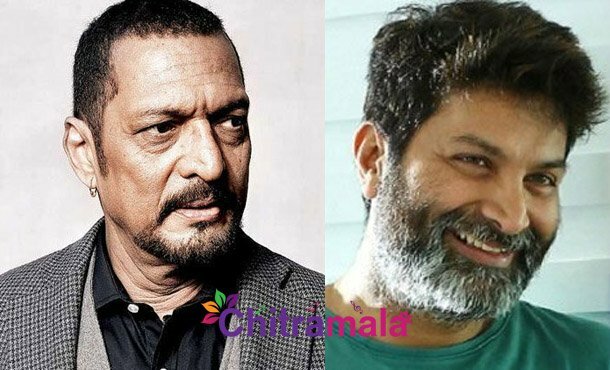 We are now hearing that Trivikram is planning to get renowned actor Nana Patekar to play an important role in his upcoming film with Allu Arjun. But the same fear has caught up many, whether Nana will be offered a meaty role or will be settled with a cliched one. Only Trivikram can answer that. Meanwhile, the makers are planning to take the film on the floors after Ugadi.